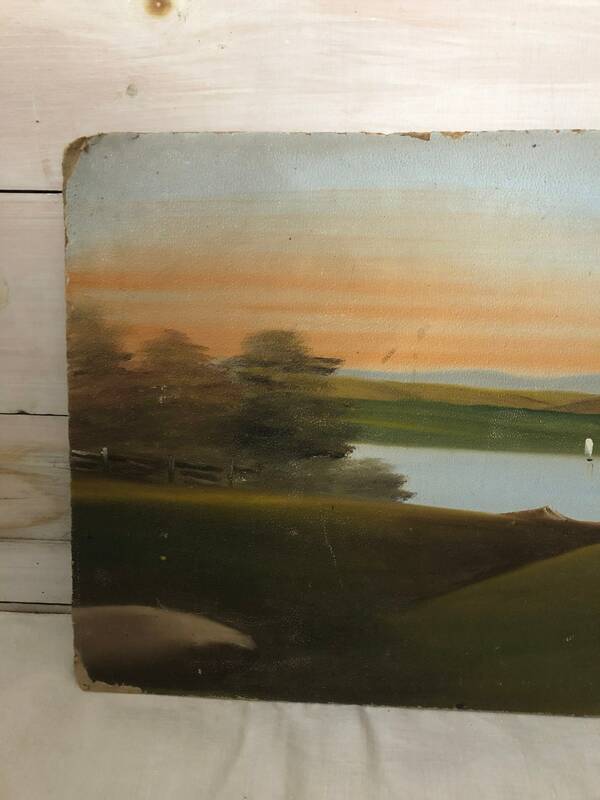 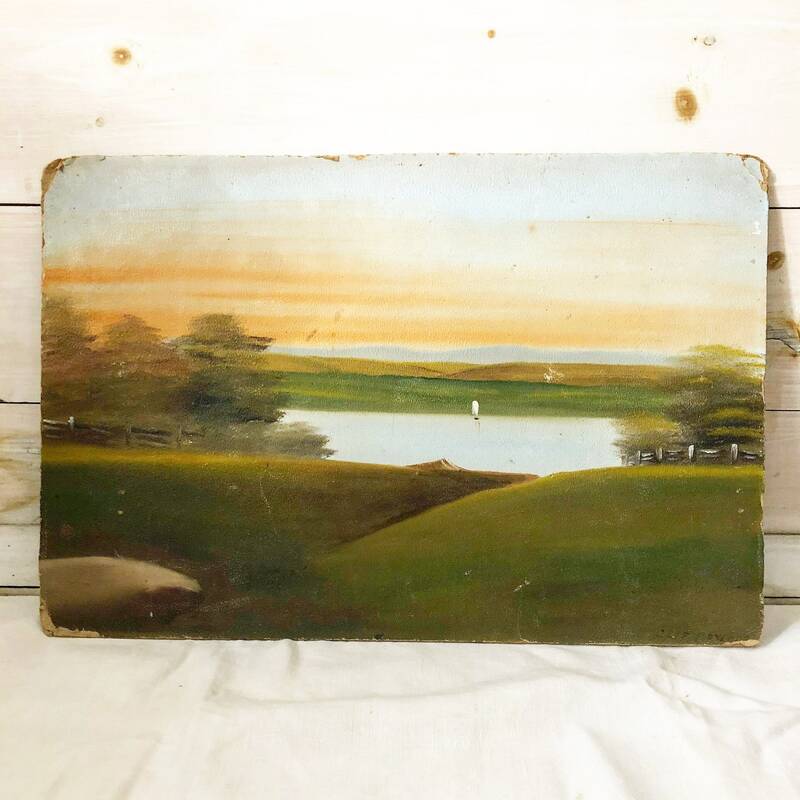 Vintage lake sunset painting on board. 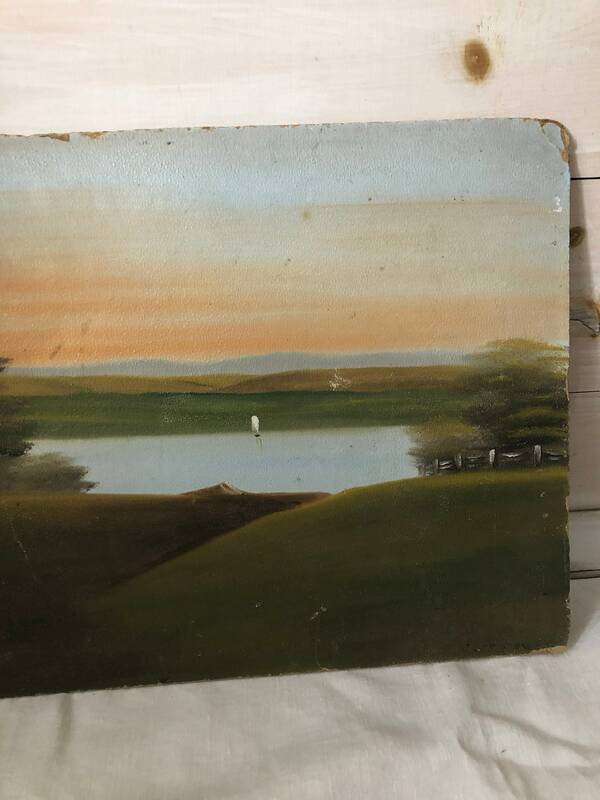 It has a signature in the lower right hand corner I was unable to make out. 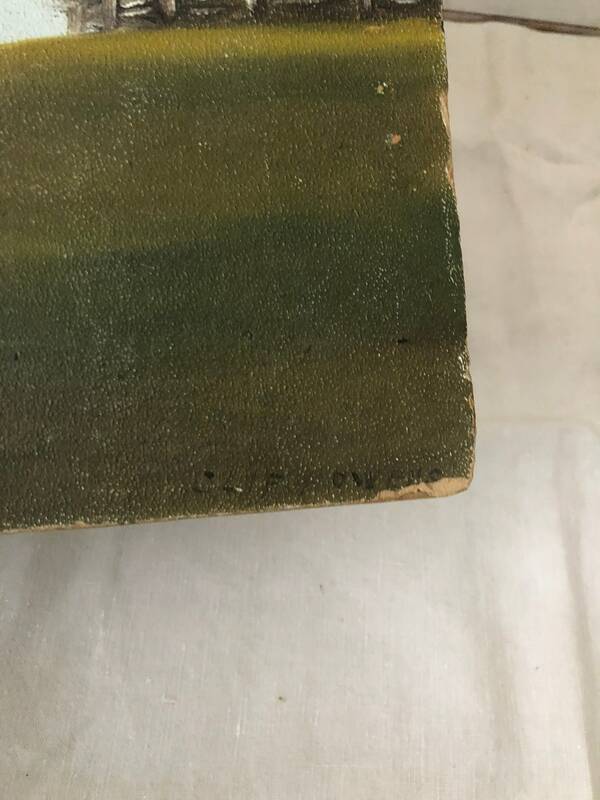 Paint has a nice crackle to it.